In theory, here is how copyright and speech are supposed to interact: copyright grants certain exclusive rights—including the right to make and sell copies of a work—for a limited period of time. The idea is that this will incentivize creativity and innovation by providing people a way to make money selling their creations. However, exclusive ability to make use of words, images, etc. naturally runs against free speech rights. So, in order to mediate this conflict, we have the right to make use of copyrighted material without permission and payment under certain circumstances. That’s fair use, and it’s really important. One important form of fair use is criticism. The most effective, clear way to criticize something is to share part of it and then break down what is wrong with it. If the goal is to save people from spending money on something that is bad, then people have the right to not only say something is not good, but show why. And using copyright to try to stop people from critiquing your work is obviously in bad faith. It is also a very obvious way to censor speech. It’s a tactic so obvious that doing it can get you as much bad attention as the negative critique. It’s so obvious you’d think we wouldn’t be seeing it in 2019. And yet. Where Hands Touch is, to be very charitable, a historical romance film. It is about the romance of a biracial woman and a member of the Hitler Youth. It is, by all accounts, a very clumsy telling of that story. As the movie became available via streaming in the U.S., people have been sharing short clips of the movie to show the problems they have with it. And that’s when copyright law stepped in. The Digital Millennium Copyright Act (DMCA) has a safe harbor provision which protects websites and other service providers from liability for the alleged copyright infringement of their users. In order to get these protections, though, companies have to meet certain conditions, including having a “notice and takedown” procedure. The DMCA safe harbor is one of the key legal safeguards that has made the Internet a medium where everyone can create and contribute. But the notice-and-takedown regime is rife with abuse. 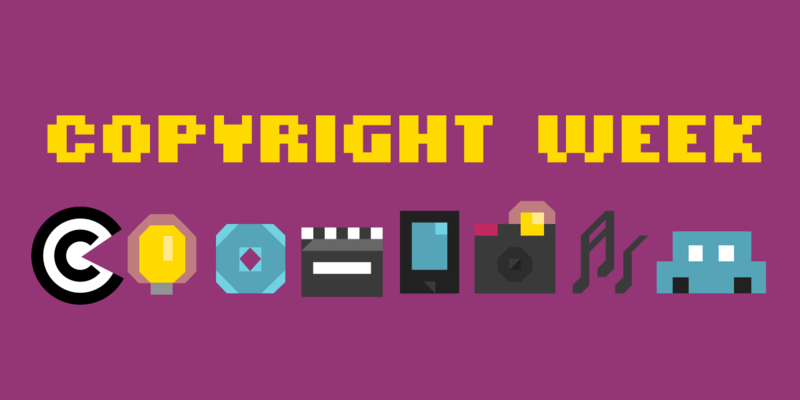 Under the DMCA, a copyright holder can file a takedown notice with a website saying that someone is infringing on their rights. After receiving the notice, the company has to remove the allegedly infringing material and inform the user. If the user doesn’t respond with a counter-notice defending their posting—for example, asserting fair use—then the content remains vanished. So what do you think the makers of Where Hands Touch did when people started commenting on a scene from the movie where the two leads have a moving romantic moment in a concentration camp, using a clip of that scene to illustrate their critiques? The answer is not “responded thoughtfully to the criticism being made by the people sharing the clip.” It is filing DMCA takedowns. Haaniyah Angus tweeted about her reactions and feelings about the movie, including a 14-second clip of the above-mentioned scene. Her in-depth critique of the movie—humorous, certainly, but valid criticism—led to a conversation about the movie on Vulture and to the most important kind of Internet culture, memes. Angus’ clip got hit by a DMCA takedown. Filmmaker Charlie Lyne’s thread criticizing the use of the DMCA to remove Angus’ negative review, a thread which also included the clip, likewise got hit with a takedown. So did the memes. The use of clips made abundantly clear why the film was a mess. That’s why Angus’ original tweet took off. Scrubbing the clip leaves a hole where understanding should be. Commenting and criticizing a film is a clear instance of fair use, especially when the clip used is brief. The Internet has made it easier for people to share commentary and criticism. Critiquing a movie effectively often means sharing parts of that movie, something that used to be very hard to do without a TV show of your own. Now, anyone can do it. And given the endemic lack of diversity in film criticism, opening up this world can only be a good thing. And yet, the DMCA takedown process is ripe for abuse, stripping away the benefits the Internet offers to people making use of it to criticize and comment on things. Neither the DMCA or copyright law in general requires copyright holders to go after anyone using their work, so they are free to ignore memes and clips shared in positive ways and only go after the speech they don’t like. While the takedowns are appealable, appeals mean giving a lot of personal information, consent to jurisdiction if the other side decides to sue you, and a sworn statement that you believe the takedown was wrong. And then it can take weeks for the content to be restored. Which, if your goal is to warn people away from something, is harmful. In the case of Where Hands Touch, the takedowns have been so thorough that, if you go looking now, it’s very difficult to truly grasp what was wrong with the movie. Where Hands Touch hasn’t been released all over the world yet, and now people who have seen it can’t use the global reach of the Internet to tell others how bad it is. The only comfort is, as ever, that the stories about the bad behavior of the filmmakers will speak even louder to how little confidence they have in the movie.